My own personal journey into motherhood has led me to my love of birthing and Doula care. I have had the wonderful opportunity to experience birthing in a hospital, a freestanding birth clinic and at home. I learned about three very important aspects of myself along the way. The first was my voice. I have been a singer my whole life, but I did not know the true depth or power of my own voice until the birth of my first child. It was there that I found my voice and it’s ability to move inside my body. I speak of this voice both as an inner soulful voice as well as a physical voice that moves both emotional and physical energy. The second thing I became aware of was my body’s innate capabilities. I discovered that my body was created to birth (among other things). All I needed to do was get my mind out of the way of the birthing process and trust my body and my voice to bring me the strength and power to birth, which, in turn gave me the strength to parent. The third part was finding the power within myself, within my soul. It was my birth experiences that brought me the acute awareness of this amazing combination of the power of the voice, the power of the body and the power of the soul. It is these three things that keep me coming back for more. It is these three things that I enjoy witnessing and honoring in myself and other women through Doula work. This triad of sound & body & soul that keep me connected to spirit. I began my professional journey as a nanny in 1989, after graduating with a degree in early childhood education. I cared for infants through 12 year of age for 10 years. In 1993 I started my studies in the healing arts. In the past 25 years I have studied Shiatsu, Muscular Therapy, prenatal & postpartum massage, Samvahan Vibrational Massage, Sound Healing, Myofascial Release & Muscle Release Technique. In 2003, in Colorado, I became certified and began my work practicing as a birth and postpartum doula. I have been attending births in MA since 2011. In 2016 I became certified as a death doula and began studying Holding Space for Pregnancy Loss with Amy Wright Glenn. 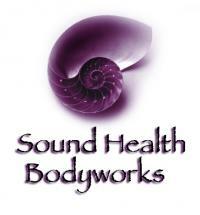 I now offer my bodyworks services through Empty Arms, out of Florence, MA. In 2017 I started taking prerequisites to go into nursing school so that I may be in the labor and delivery room even more than doula care has allowed. I am loving my academic journey while also maintaining my massage and doula work. It is another strong triad, alongside sound, body and soul. It is my goal to utilize all the knowledge and experience I have gathered in my life to support women and families through this transformative and powerful experience of birth and early parenting. I am honored and grateful to be involved in work that empowers women, and children and families!